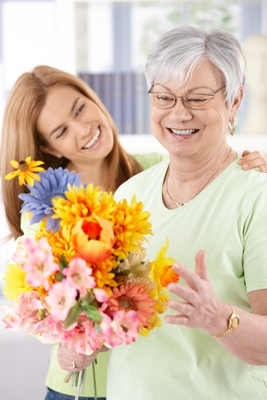 Mother’s Day is a time to remember just how much we value our mothers and all of the things they do for us. But do they do enough for themselves? All too often, moms get so caught up in taking care of everyone else that they put themselves last on the list, even if they don’t mean to. Your mom may have a dozen excuses for not having gotten an annual mammogram, but that doesn’t make it any less vital. The reality is that the best way to fight cancer is with early detection. The sooner you know if you have cancer, the better. So give mom the gift of asking her the question: Have you had your mammogram? Does she say that she’s too busy? At ella health, she can make an appointment on short notice, sometimes even on the same day. An appointment takes less than 30 minutes and there is very little waiting time. Does she say she doesn’t have a doctor’s referral? She doesn’t need one. All she needs to do is to give us the name of her primary care provider and we will take care of the rest. Does she say she is worried about the appointment? Come with her. A lot of our patients bring friends and relatives with them for support. We at ella health want to wish all mothers a very happy Mother’s Day.